Perched on the Riviera Maya, Grand Sirenis Riviera Maya Resort & Spa is an absolute Mayan marvel blending nature with architecture. The resort is located by a virgin beach and has an extended coastline of around 3.2 km. It is the same coastline that boasts the famous heart-shaped inlet for snorkelling. This 5-star hotel complex consists of two hotels, Grand Sirenis Mayan Beach Hotel & Spa and Grand Sirenis Riviera Maya Hotel and Spa. With 504 well-furnished luxurious suites, the hotel is among few favourite stay options in this area. 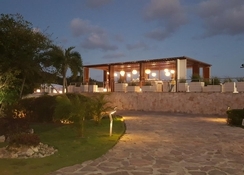 When it comes to food and entertainment, Grand Sirenis Riviera has got a total of 3 spacious pools, a lazy river, open air lounges, 11 bars including 2 pool bars, 8 thematic restaurants, 2 main buffet restaurants, a health bar, kids’ club, coffee shop, disco and a theatre featuring daily evening shows. If you are looking for a complete rejuvenation and relaxation, the resort has a wide range of treatments at its award-winning Spa. The Dolphin Park, located next door, offers great fun for guests with its four Atlantic bottlenose dolphins. Water lovers can take part in aquatic activities like snorkelling, diving or fishing. The Grand Sirenis Riviera Maya Resort & Spa is truly the perfect fusion of luxury and elegance in harmony with nature. 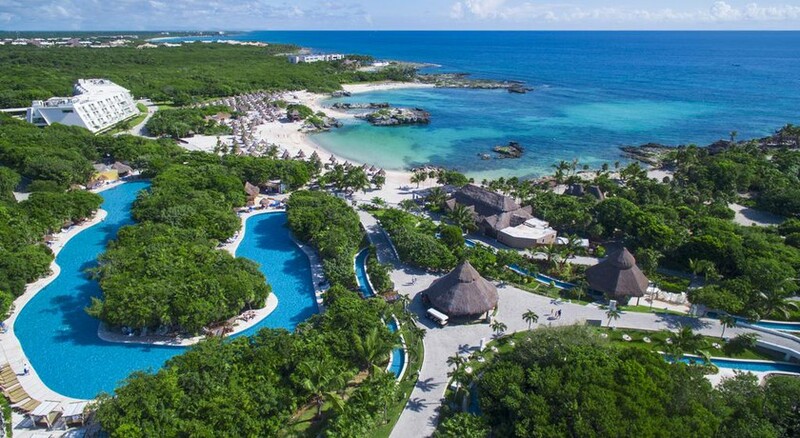 Grand Sirenis Riviera Maya Resort & Spa lies right next to the beach on the Mayan Riviera. You can walk on to the famous ruins archaeological sites of the Mayan culture. The nearest airport to the hotel, Cancun International Airport, is located at a distance of 90 km from the hotel, while the city centre of Playa del Carmen is just 32 km away. This all-suites beach resort is made up of the main building and 9 annexes – each having 2 floors. 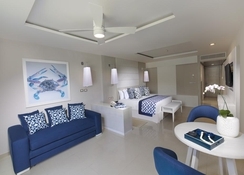 There is a total of 504 suites feature a separate living area with sofa bed, a king-size bed or 2 double beds, en-suite bathrooms with bath amenities and a private balcony. All the suites are equipped with tea/coffee maker, flat-screen TV, direct dial telephone, radio, minibar, safe and Wi-Fi. A wide variety of international cuisines is served at a total of 10 on-site restaurants at Grand Sirenis Riviera Maya Resort & Spa. Mexican, Italian, Brazilian, Thai, Japanese, French and Mediterranean cuisines please the taste buds of guests from all across the globe. There are 12 bars throughout the hotel, including a couple by the pools, all of which serve some of the best fusion drinks. 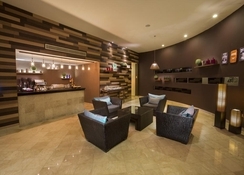 The hotel also has a health bar, a coffee shop and an ice cream parlour. 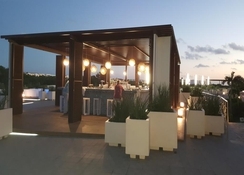 Guests can also opt for all-inclusive services including buffet meals, house wine with meals, a la carte themed dinners, 24-hour snacks, domestic and selected international liquors, plus lots more. Grand Sirenis Riviera Maya Resort & Spa has got 3 adults’ swimming pools, a paddling pool for kids, lazy river, poolside snack bars and terrace with deckchairs and sun umbrellas. Guests can also ask for these sun loungers and parasols at the beach. There is a solarium, a sauna and a Jacuzzi to help the guests unwind. The resort also helps avail facilities for banana boating, jet skiing, sailing, diving, windsurfing, catamaran sailing, snorkelling, mountain biking, cycling, billiards, table tennis, tennis, beach volleyball, and football. There are live evening shows and a variety of entertainment programmes are lined up for kids and adults. The kids’ club offer loads of games and activities for children aged 4 to 12 years. The next-door Dolphin Park impresses guests with four Atlantic bottlenose dolphins: Charly, Athos, Gigio and Porthos. The Spa Grand Sirenis offers a range of relaxing therapies, massages and treatments.